KIHM has a unique combination of a long heritage in traditional metal forming capabilities, blended with emerging technologies. This combination allows us to provide turnkey metal forming and fabrication solutions. 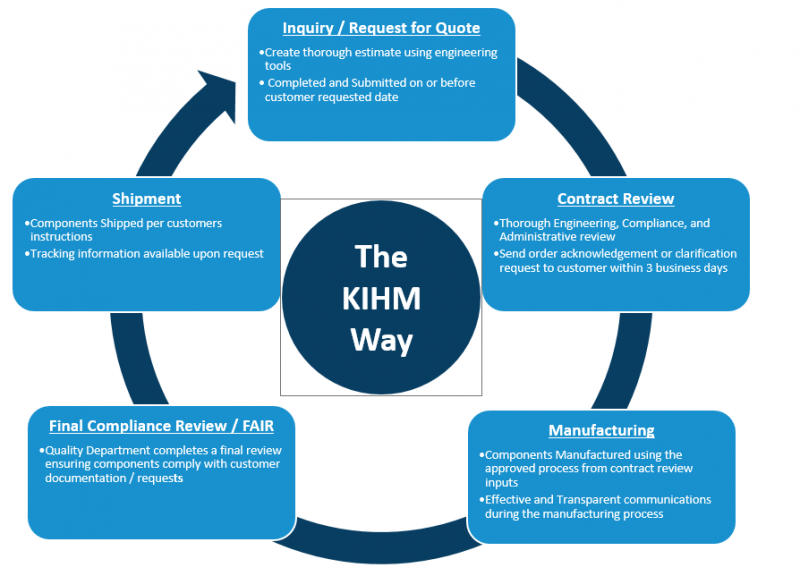 KIHM has the ability to bring metal forming solutions in a collaborative way to provide our customers with the best fit / best value solution. Learn more about our proven process below. Working with KIHM Metal Technologies is a true pleasure. The team is very professional and easy to work with. A reliable vendor that continually exceeds the expectation.